Set of four beautiful handmade guinea feather Christmas ornaments. 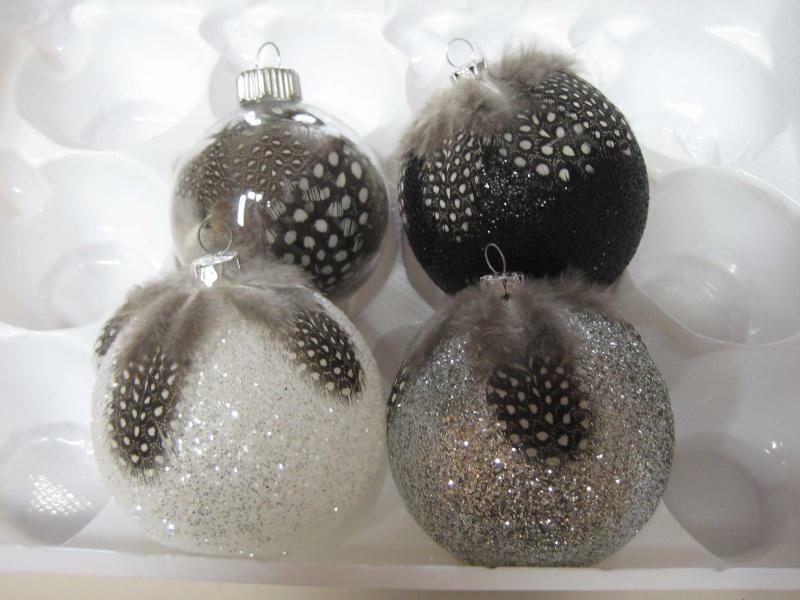 One each of glittery black, white, silver, and clear filled. Hand crafted by Deb Bradley. These are beautiful.